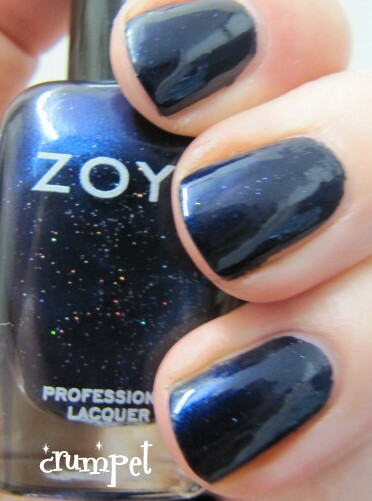 This is Zoya Indigo, and actually - and I really don't know how - it's been quite a popular post! 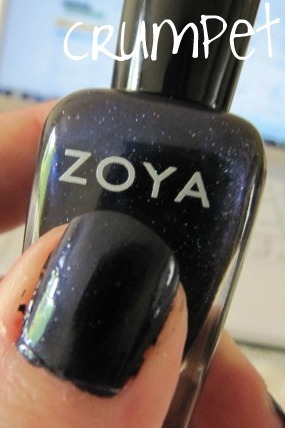 It's had over 200 views, which I think is mainly down to Zoya sales (everyone goes to Google images to see what to buy) and also possibly because it's in a little column on the left of my blog called "Lonely Little Posts That Didn't Get Enough Love." Well, let's look at the photos, Crumpet - surely that tells us why it didn't get a lot of love !! Lol. Oooooh, car crash photography - I can't even look without grimacing. 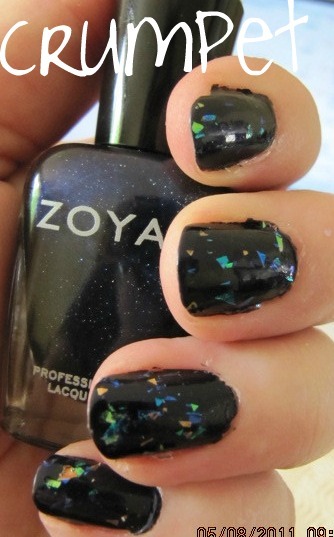 This is colouring outside the lines par excellence, combined with the fact that I am always messier with dark polishes. Helpful, that. Indigo is a plush navy velvet with purple ambitions – so it has purple tinges, but never looks purple. 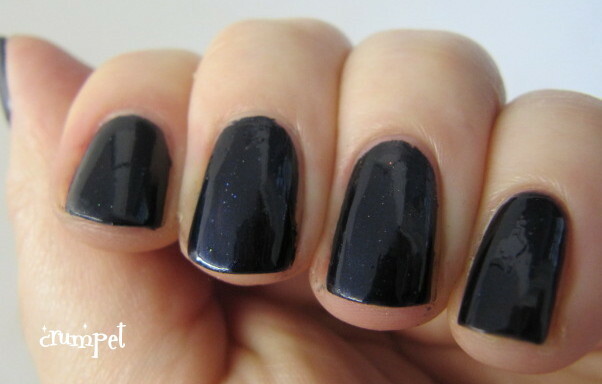 Gazing into the nail, the depth of the colour is astounding – it’s a pure, perfect midnight. 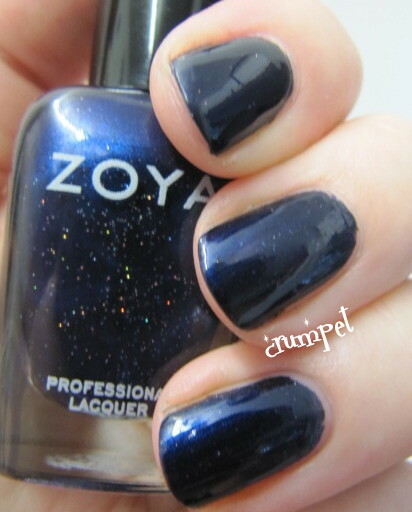 In the bottle however there’s LOTS of shimmer – flashes of royal blue and whole galaxies of multi-coloured micro-glimmer. Seriously, in the bottle it looks A-MAZING. 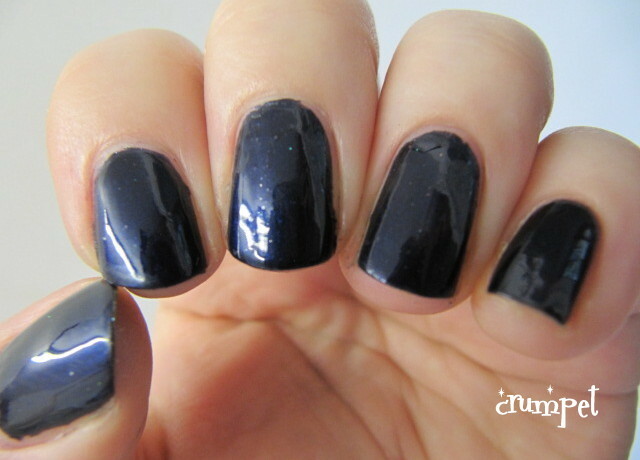 But on the nail, the shimmer and glitteriness just isn’t visible. There are tiny flashes of it, but you have to look at it REALLY closely. On the plus side though, it’s the glimmer that gives it its beautiful depth and velvety appearance. Now? Well now, I'm very "meh" about this. 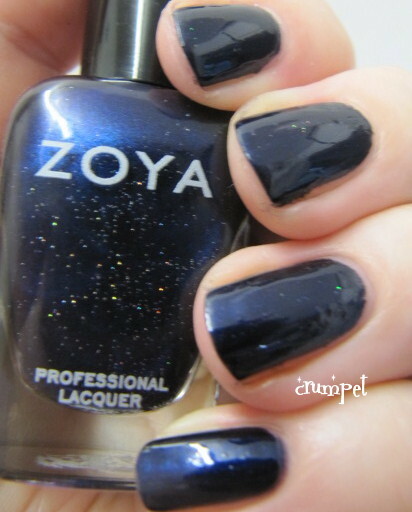 Yes, it's a lovely navy, but it still bugs the crap out of me that the holo sparkle in the bottle doesn't translate to the nail, therefore, do I think it's worth paying more for Indigo just because it's a Zoya? No, I don't. 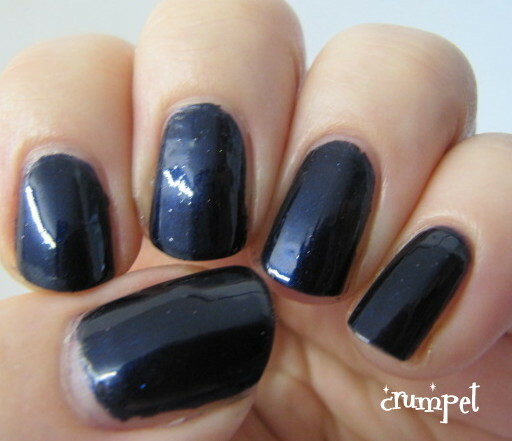 Navy isn't one of my staple colours, so I'm quite happy to stick to my Barry M and put this one in the blog sale (coming sooooon).